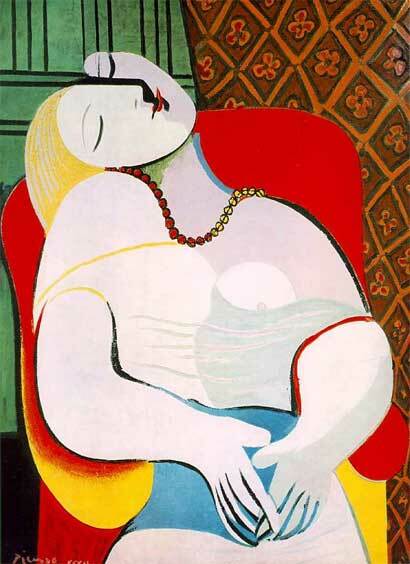 Casino mogul Steve Wynn has accidentally ruined a 74-year Picasso painting call Le Reve. While entertaining David and Mary Boies, Nora Ephron and Nick Pileggi, Louise Grunwald, and Barbara Walters, Steve winded up putting his elbow into the lower right quadrant of the painting. Now that’s some expensive elbow. From a sale of $139 million, Steve has to now pay to restore it. I wonder if he had insurance on that painting? Buys painting for $39 million; later sells it at auction for $139 million; insures painting for auction value prior to turning it over to buyer; pokes elbow through painting in front of a bevy of witnesses; cancels sale and has painting restored, obtaining a revised appraisal value; files insurance claim for auction price minus revised estimate; keeps painting; goes on long vacation. I think you have something there. You might be right if the insurance company really paid the full price or if the term of the insurance allow the painting to be display without protection. This would be a great scam if this was allow.